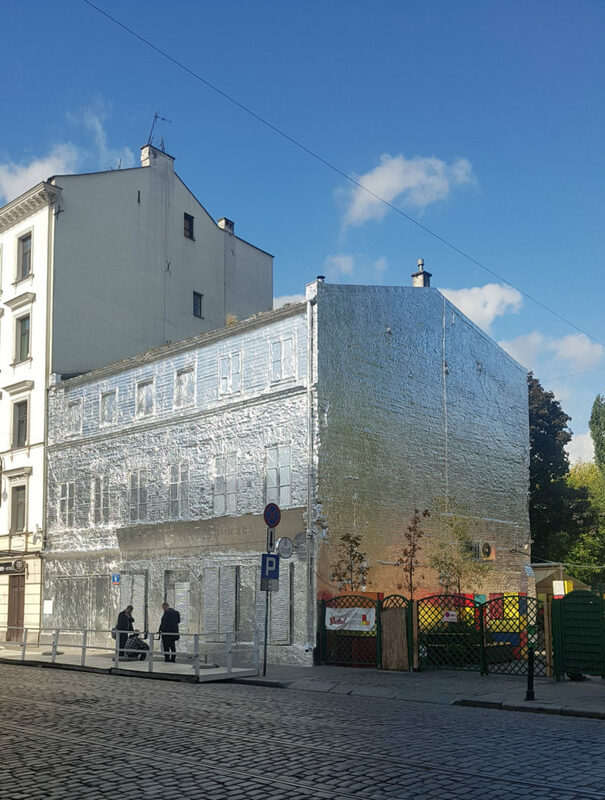 An acclaimed artist has thrust himself back into the limelight with a project that has seen a dilapidated building in Warsaw’s Praga district handed a new lease of life after being clad entirely in aluminum tin foil. Found on Ząbkowska 9, the tenement dates from 1870 but has stood derelict for years. Aiming to reflect Praga’s bright future, whilst also highlighting the number of historic properties currently lying empty in the capital, Vienna-based artist Piotr Janowski spent a total of nine days creating his latest work alongside volunteers from a local youth group. This is not the first time Janowski has courted attention through his use of aluminum. Three years back he covered a house in Florida in the material, a move that brought scrutiny from environmentalists and interfering busybodies, and a year later he repeated the stunt by wrapping a 20-ton steam train in foil to mark the opening of the revamped Łódź Fabryczna train station.